In the summer of 2014 the JazzProfilactika Sextet was formed – extending the Quartet with a drummer and bass player – to give a more acoustic / analog sound to their music. 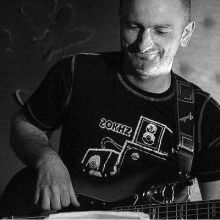 Venci (one of Bulgaria’s best Electric Bass players) and Jazz Profilactika members Roel, Neyko and Tsvetan have shared the stage in the past years for various occasions. When the idea to form the Sextet was put on the table, Venci was an obvious choice. Mr. 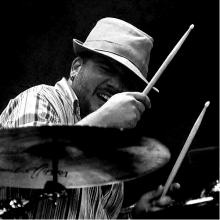 Moon has been DJ-ing, producing music, remixing and collaborating with well-known native and foreign artists and joined the JazzProfilactika Sextet in 2014.